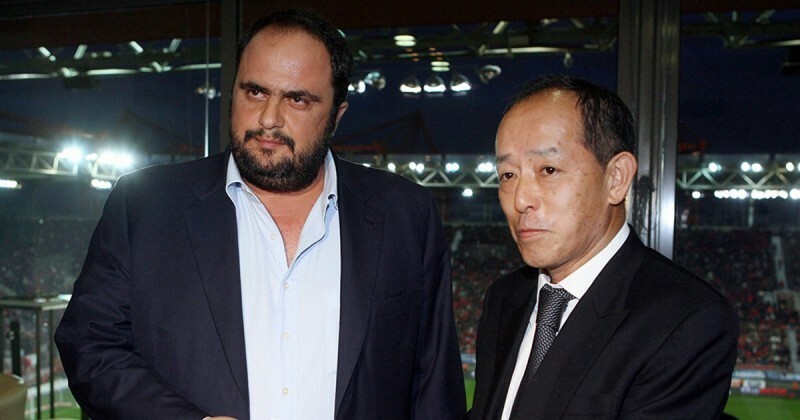 ATHENS, March 22, 2011 - Following a formal invitation by the President of Olympiacos F.C., Mr. Evangelos Marinakis, the Ambassador of Japan, Mr. Hiroshi Toda, attended the game between OLYMPIACOS F.C. and A.E.K. F.C., which took place on March 20th at G. Karaiskakis Stadium. Prior to the kick-off, one minute of silence was kept in respect of the victims of the powerful earthquake and the devastating tsunami that pummeled the north-eastern coast of Japan and led to the loss of so many human lives. Reaching out in solidarity, the President of Olympiacos F.C. Mr. Evangelos Marinakis donated the symbolic amount of 100.000 Euros, in support of sports and development in the areas that suffered the effects of this unimaginable tragedy. Olympiacos F.C. is the first club, within the football community that took the initiative of inviting an Ambassador of a foreign county in need, and called on the world of sports and sports fans to respond to an emergency, thus paving the way of many others to follow. The President of Olympiacos stated: «First of all, I would like to thank the Ambassador of Japan for being here with us today. My personal relationships, as well as those of my family, with Japan go way back in time, from my shipping activity. We had cooperated with the Japanese many times in the past and we were shocked by this biblical catastrophy that stroke their country. I, personally, thought it was a good idea that a minute of silence be kept at all SuperLeague grounds today as an act of respect to our brothers in Japan who suffer. Olympiacos wants to offer the Japanese Ambassador the symbolical amount of 100.000 Euros and let him know that we wish to assist as much as possible and as best we can". On the other hand, the Ambassador of Japan, Mr. Hiroshi Toda commented: "First of all, taking this opportunity, I would like to express my sincere appreciation for all the warm messages of sympathy and condolences by all the Greek people. On top of that, today and on behalf of all Japanese people, I would like to thank the President of Olympiacos and also the President of the SuperLeague, for arranging this nice thing for us. We are all very much encouraged by the support of all the Greek people. Thank you very much". As in the "8th edition of the Match Against Poverty", which was hosted on December 2010, under the auspices of UNDP, and raised funds for the millions of people affected by the Haiti earthquake and by the Pakistan floods, and although Greece is mired in economic uncertainty, the President of Olympiacos F.C., Mr Evangelos Marinakis is once again lending his support, reaching those who suffered tremendous sorrow and loss to get back on their feet and encouraging others to do the same. The game, on Sunday, March 20th, sealed the championship title for Olympiacos F.C. thanks to their impressive 6-0 victory against AEK F.C., in the frame of the SuperLeague's MD27. The reds proved once again that they are the rightful winners of the championship, offering their fans a unique spectacle.